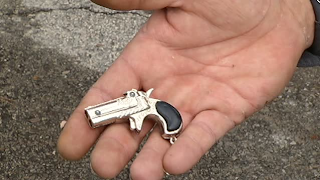 The family of a Rhode Island seventh-grader who was suspended for three days for having a small toy gun keychain at school is appealing the suspension. WJAR-TV (http://bit.ly/198ZOTV) reports the family of 12-year-old Joseph Lyssikatos (lis-ih-KAH'-tos) is appealing Monday to the superintendent in the town of Coventry. Joseph was suspended last month after bringing a 2-inch keychain he won at an arcade to Alan Shawn Feinstein Middle School. Another student found it and showed it off to classmates, and Joseph was suspended. . . .